With everything coming together slowly but very surely, I thought I would share a few of the many things I’ve been up to. Lucky, if you catch sight of this before the 23rd of July, you’ll be seeing it all (besides the invites and RSVP slips that is…), before any of my guests! When I started out on the whole ‘Planning A Wedding’ thing, I had originally envisioned a colour scheme of lilac and bronze and possibly ‘champagne’ hues – and then bizarrely it drifted into something a little more dramatic. The organisation, congruency and theme of all printed items/materials is pretty consistent. I drew a vector of a damask pattern I really liked, then redrew certain elements I liked and had gathered from other invitations/programmes/wedding paraphernalia that inspired me. Unfortunately being on a tight budget, I tried to save costs – and being a designer makes that bit easy 🙂 So kudos to the original artists and original invitation makers and thank you for being my inspiration! (as much as I wish I could take full credit) NOTE: Talent is a gift – and with it being so I also don’t expect to be extorted by other individuals and ‘their talents’, thank you very much!! 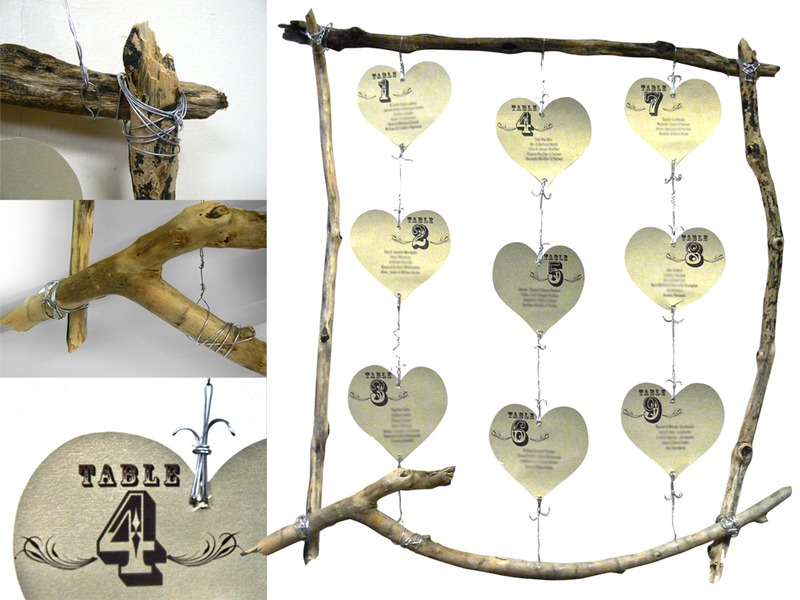 Which leaves me saying to you – should you have any ideas for invitations, but with no idea how to execute them, drop me a line 🙂 I’ll help you out if I can, FREE of charge! 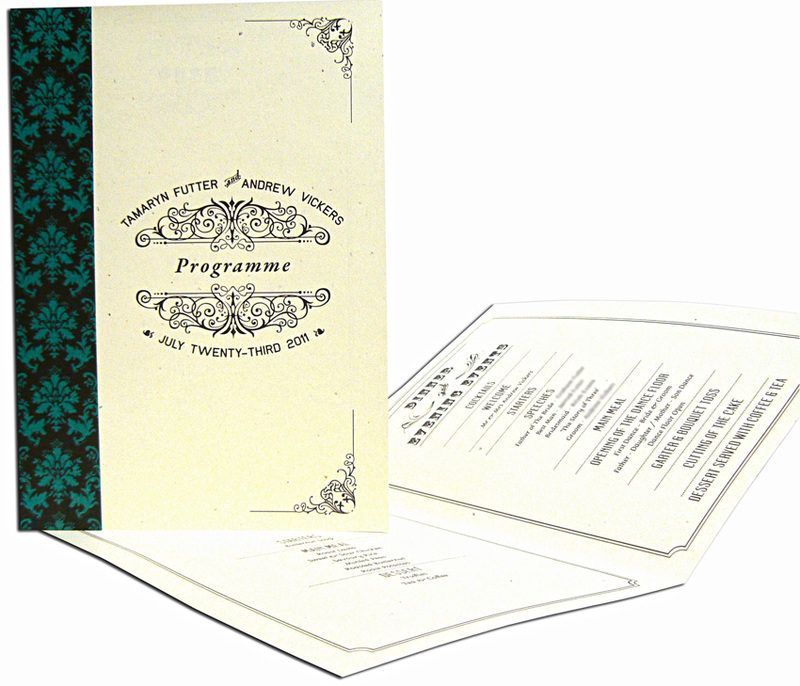 The table programmes and ‘order-of-service’ slips were conceived entirely by myself, using ‘Gold Leaf 250gsm’, I had printed ‘bookmark’ size strips of my damask pattern in the ‘almost veridian’ green colour and coupled it with a rich brown. With the golden glow from the paper, it has a very old feel (look) to it. I can safely say however, that as much inspiration as I’ve taken, the bulk of it came from ‘self’. Like my dress for instance. Which I’ll post pictures of, but only once I’ve officially had my wedding and the whole ‘shebang’ is done and dusted 🙂 It incorporates my love of polka dots, long streamlined dresses, halternecks and statuesque collars – plus, a little bolero jacket to match! Instead of having a rigid colour theme, I’ve played with multiple shades of brown, thrown in some bronze and brushed gold and pretty much utilise the entire spectrum of colour from lime green to turquoise in one form or other. It came to me in a video game of all things. Prior to my unnatural obsession with the swinging 50’s, I had been intrigued by the 80’s. Their overuse of neon colours, big poofy hair and the awesome music which provided the backdrop to some of the most legendary films of all times. What was not to love? It’s where the mullet originated for crying-out-loud. However, my secret love for the X-box introduced me to a game – which would forever revolutionise everything from my music taste to the way I perceived the world and the family unit. This game, known as Fallout 3 – is based on a post-apocalyptic America where the world as we know it had not progressed in mindset, further than the fifties. However, technology advanced, as did war – but their lives and values remained simple and about survival. The backdrop to this brilliant game was complimented by the most glorious musical score I had ever experienced. Initially it was all too bizarre… It didn’t seem fitting. But whether by indoctrination through means of repetition, I found myself at one point singing along and feeling quite jovial – even in instances where I was mauling radiation-mutated beings into a pulp with my SMG. For the first time in my life I had found music which truly made me feel happy and ‘jumpy’ and could put me in an awesome mood simply by tuning in. Since then, and with the help of the internet – I have subsequently managed to track down the now digitised versions (CD’s) of most of the listed artists whose music guided me through one of my now favourite games of all time. Having loaded my i-pod and i-mac to the max with music from the likes of Danny Kaye & the Andrews Sisters, The Ink Spots, Roy Brown, Billie Holiday and Ella Fitzgerald – I now too have ventured further afield and discovered that I also really enjoy Frank Sinatra, Dean Martin and Jerry Lewis. Every day is bliss and far more enjoyable. These were times where music was entirely original, it was also about love and family and far simpler times. It stemmed primarily from around the time of the 2nd World War and the time shortly thereafter – where people realised that it was people who mattered, and that senseless killing and war was to pushed to the back. In it’s place should be the far more important things, such as life and living. If you listen closely you’ll hear the beauty and simplicity, as well as the sarcasm and irony and even sometimes – especially with Roy Brown – some really ‘naughty’ undertones. 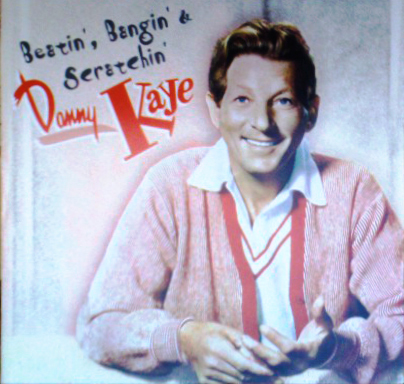 Danny Kaye known especially for his humour and using this as his primary weapon against all things deemed unpleasant at the time, such as the atom bomb and the irony of people in society going about their daily lives, in complete support of the war and the atrocities that it brought to the forefront – all the while being an atrocity itself – and claiming how they were civilised.